This is the Official StoryCorps community for the history of Fort Sheridan. 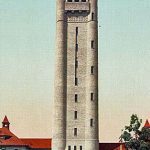 The Fort Sheridan Historical Society wants to hear any story that you have about Fort Sheridan. We welcome any story from anyone, new, old, re-told or third party. Please tell us your story, there is no time like now!